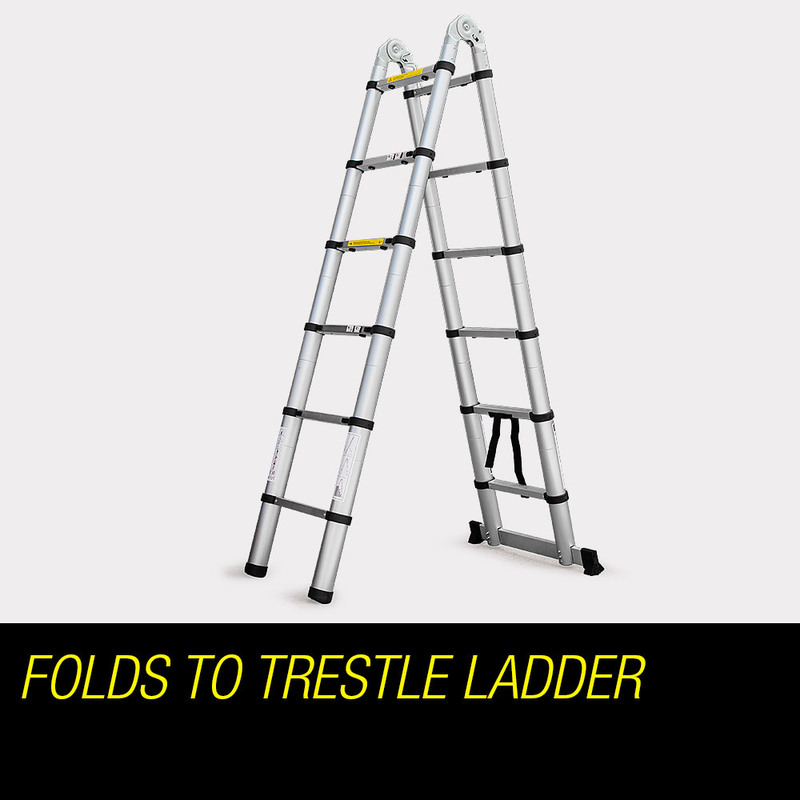 If Bond were ever to pull out a ladder, it would be this one. Aptly branded Bullet, its ingenious and lightweight aluminium design fits nicely into the boot of an Aston Martin (alternatively, in your bedroom closet). 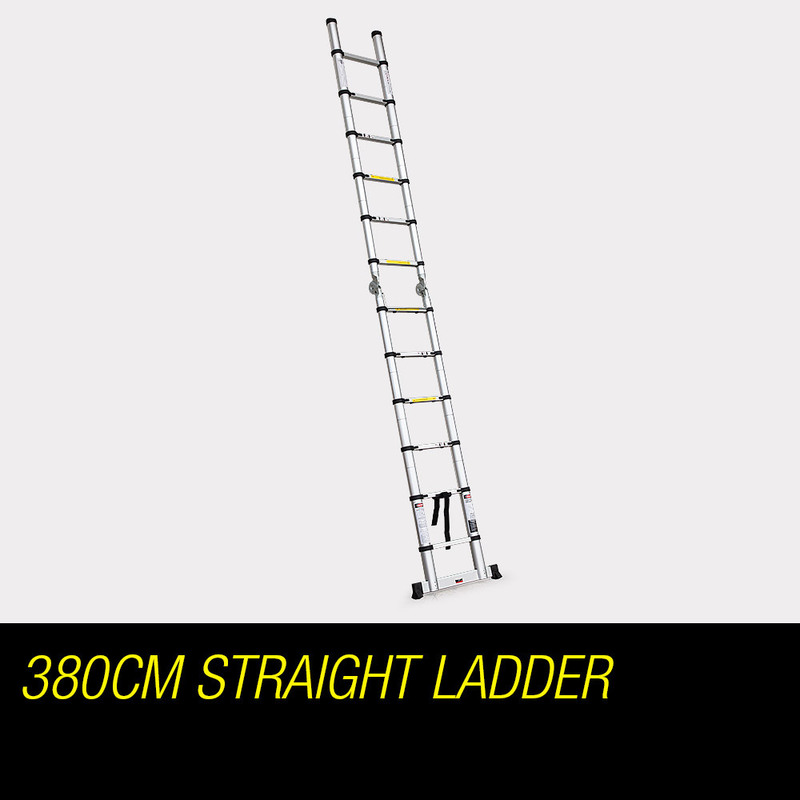 Yet, when time comes to save that damsel in distress (alternatively, reach the top shelf of cookie jars or bolt a rafter in place), it extends to whatever height you want - right up to a dizzying 380cm. 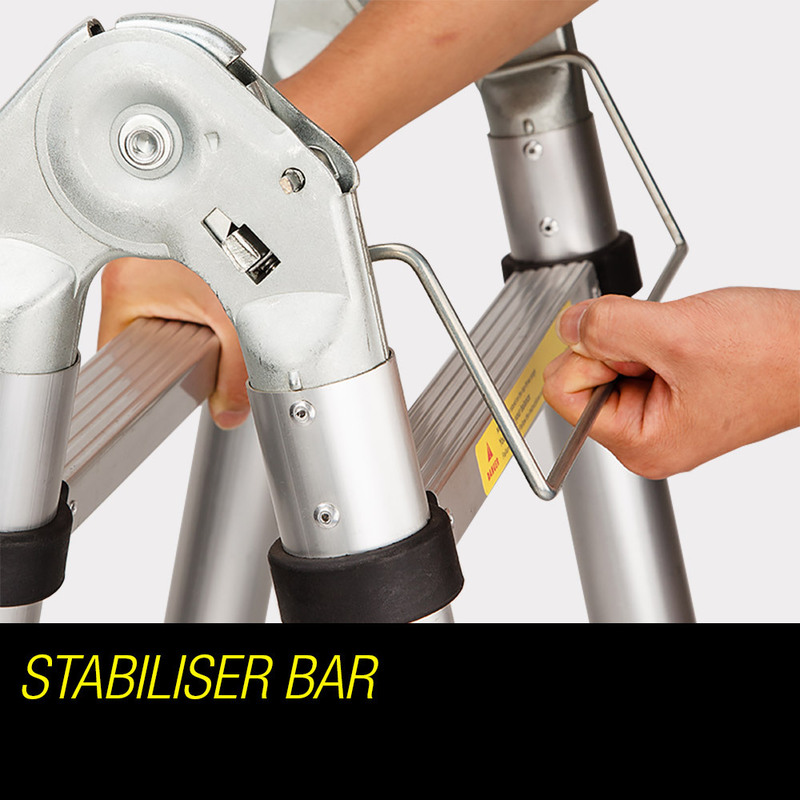 Also working as a trestle ladder, it comes with full safety certification, featuring industrial-grade latches, solid rubber-tipped feet and stabiliser bar. 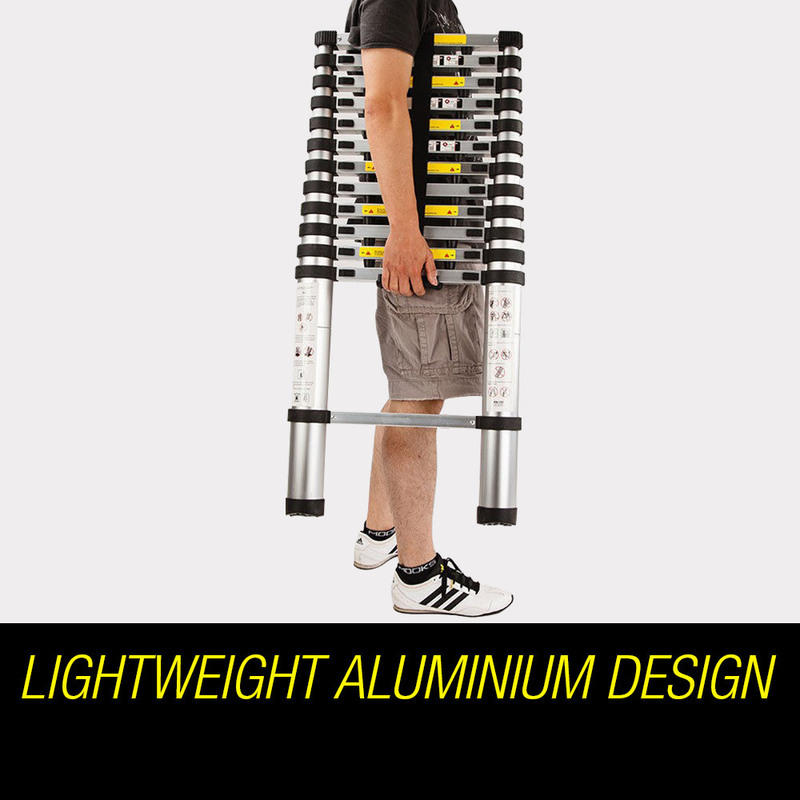 So, beat Q to it: grab yourself a telescopic Bullet ladder and be the agent of your own success today! 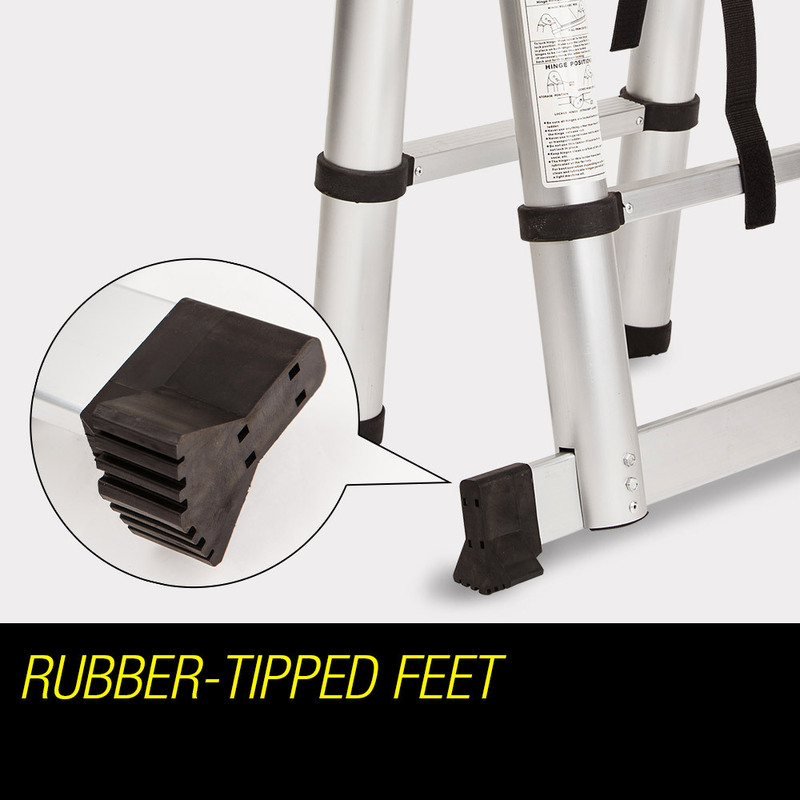 The Bullet ladder is there when you need it, gone when you don't. 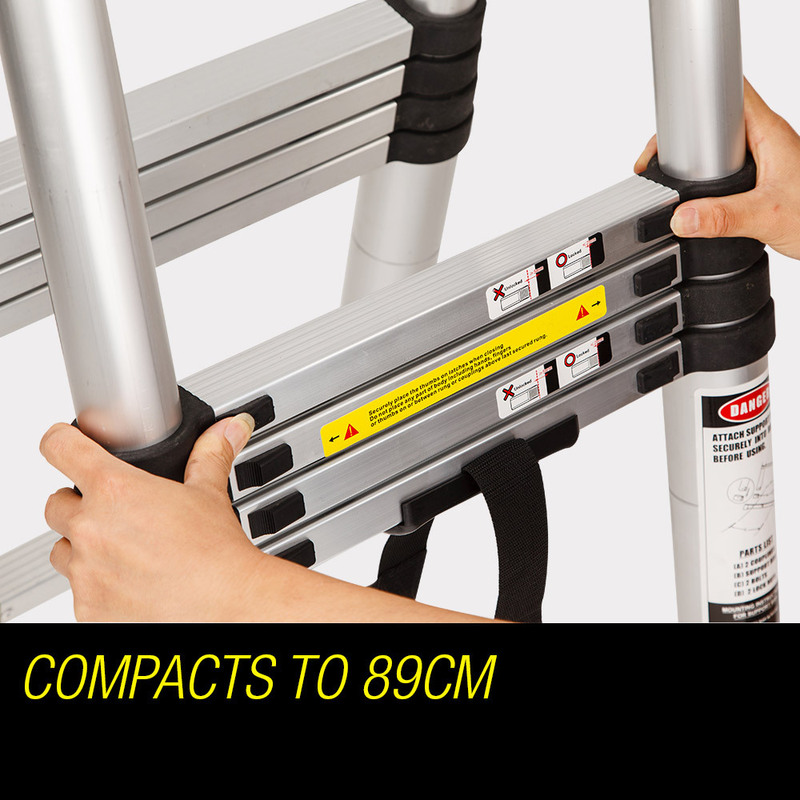 Compacting from 380cm to a handy 89cm, you can store it out of sight almost anywhere. 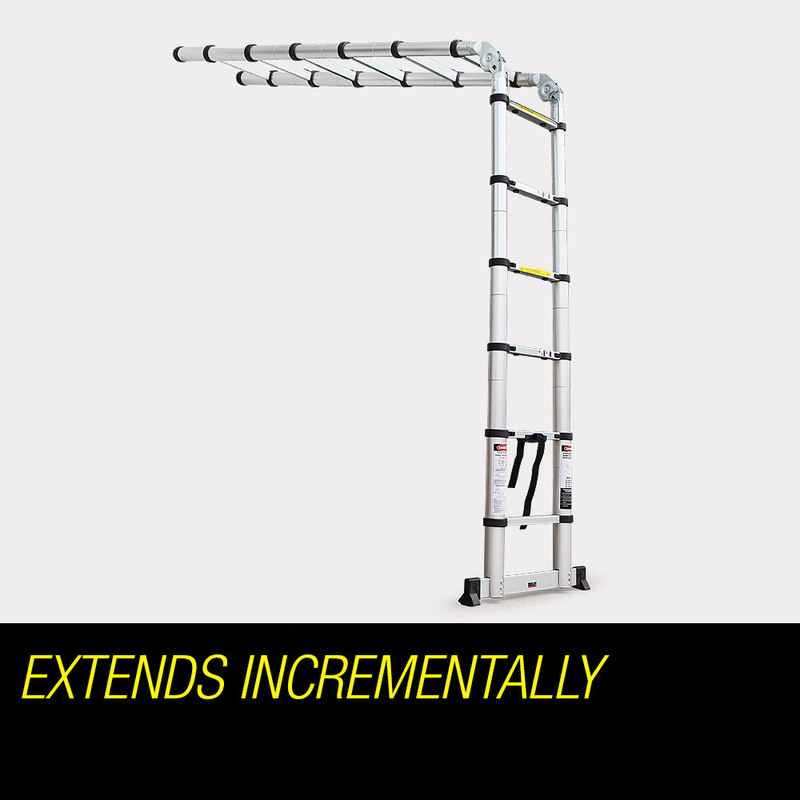 Your telescopic Bullet ladder folds out to a trestle, letting you set it up without external support - and you can also use it in an L-shape or at another angle to get to those hard-to-reach workplaces. 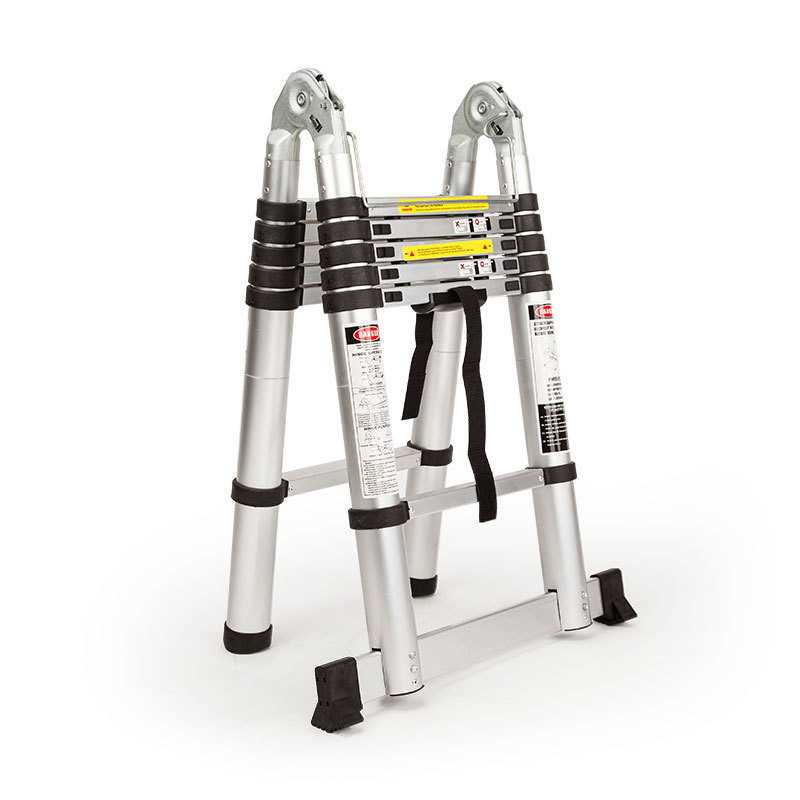 Featuring durable aluminium design, industrial-grade height-locking latches, solid rubber-tipped feet and a stabiliser bar, the Bullet telescopic ladder comes with full SGS Safety Certification. Who said that you have to take risks to look cool? As usual quality products at excellent prices. Delivery is fast and service is A1. One of the best sellers on line.!!! 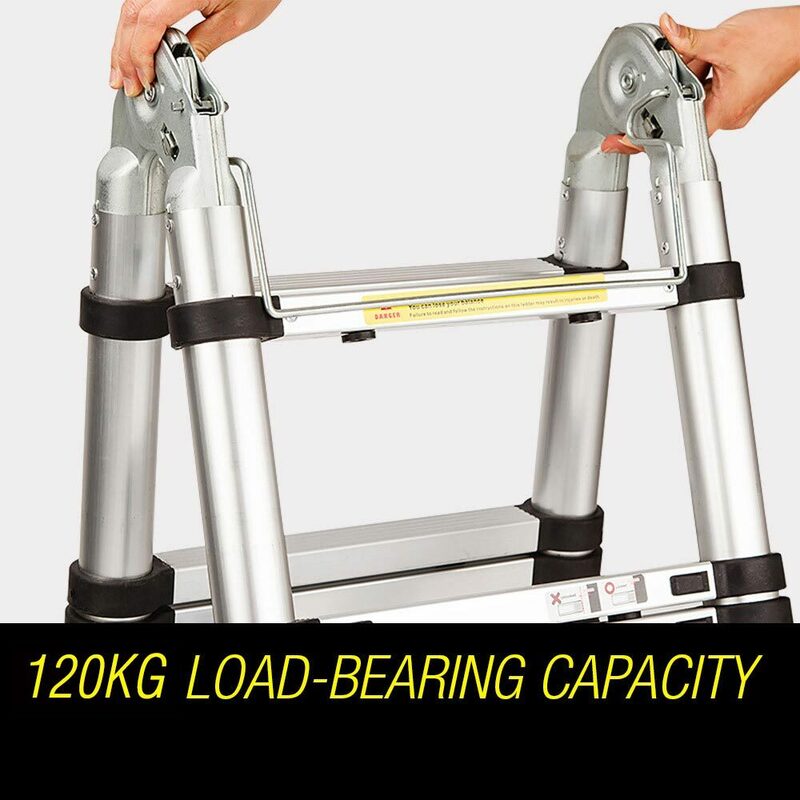 I bought the item because it was telescopic so, it is, it light and it does the job that it was intended for. Bought this item as a present for someone who had bought a house and was doing some renovations. He was very happy with the item. 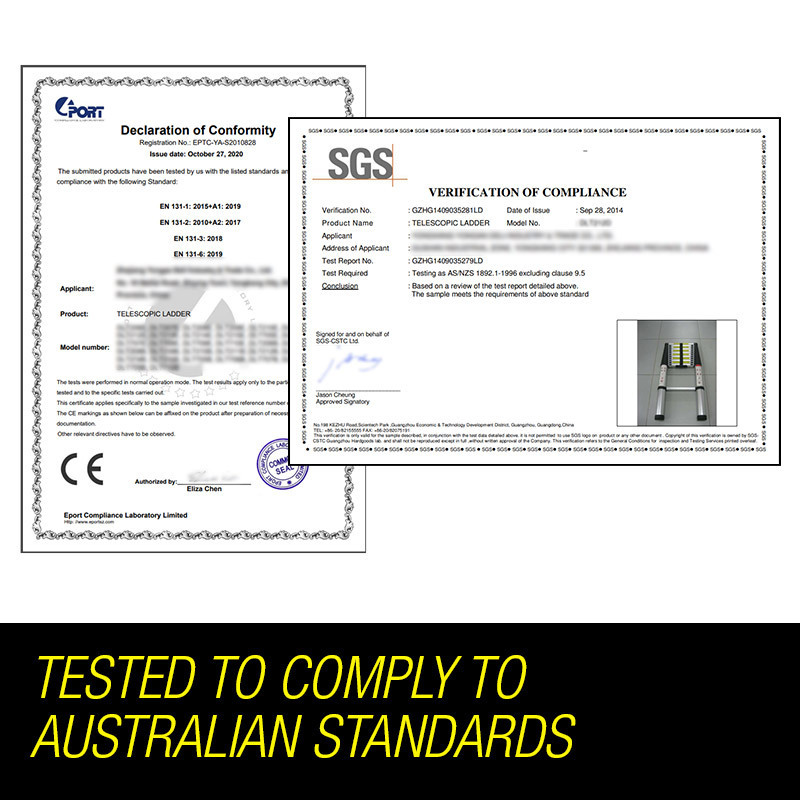 Complete satisfaction -product / delivery - professional !